Peartree - we're coming to you! Peartree – we’re coming to you! Following on from the success of our Banister Park focus area, we’re now expanding in Peartree. 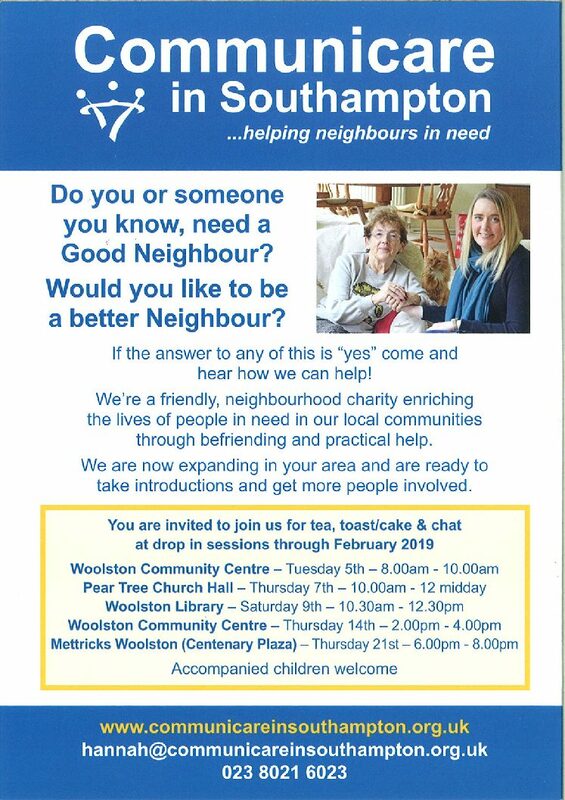 As a friendly, neighbourhood charity, we’re looking to recruit volunteers who would like to be better neighbours and help those in need living locally to them. Mettricks Woolston (Centenary Plaza) – Thursday 21st – 6pm-8pm. Accompanied children welcome – we look forward to seeing you all soon!